Do I really need to introduce StriVectin? If you have any interest in skincare, you couldn't miss the buzz that surrounded their original product in the mid-2000's, the stretch mark cream turned anti-wrinkle treatment, one of the most spectacularly successful product launches in the history of the cosmetics industry. I didn't need anti-aging creams at that time, but I sure do now and I'm glad that the brand has developed an entire range of products to address all signs of aging. 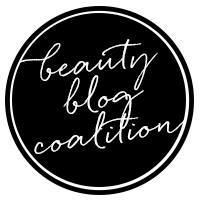 If you're seeing the first wrinkles trying to take over your face while you're still battling with a shiny T-zone and enlarged pores like I am, you have probably noticed how hard it is to find skincare products that address both concerns: usually, mattifying and pore blurring lotions are made for younger users, and they don't include ingredients to protect skin and fight signs of aging. 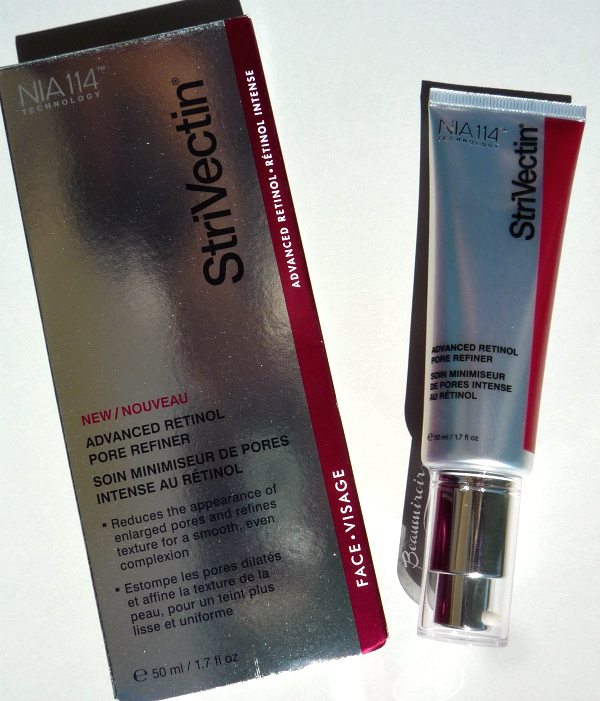 Finally, StriVectin has launched a new product that takes care of both issues, the Advanced Retinol Pore Refiner. 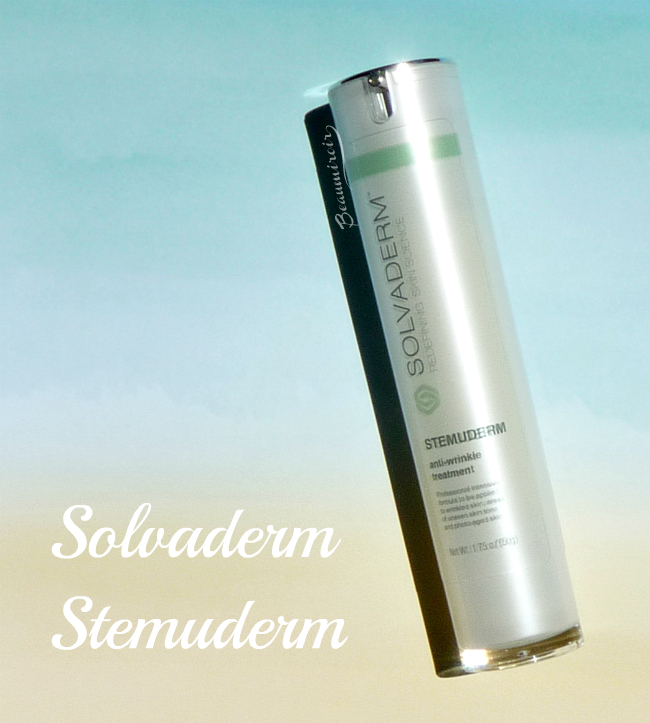 It immediately minimizes the appearance of pores, but it also has a long-term effect to reduce their size over time. 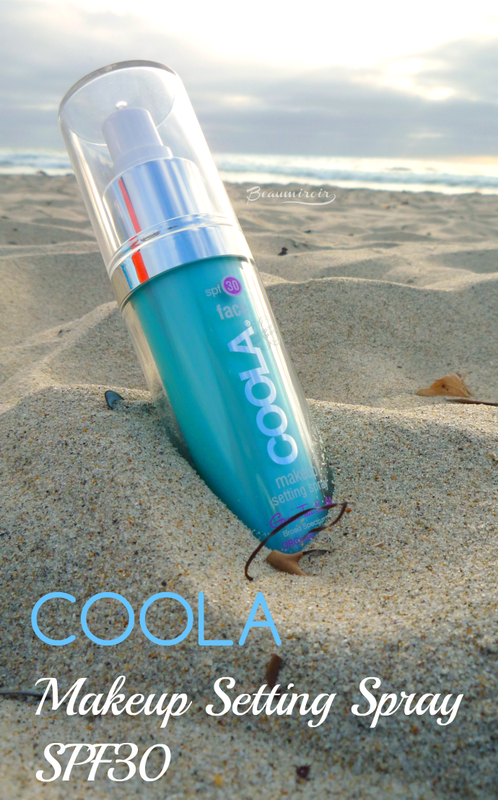 It's designed to control oil and avoid excessive shine throughout the day, but at the same time it nourishes the moisture barrier to protect the skin from environmental damage, with StriVectin's patented NIA-114 molecule. 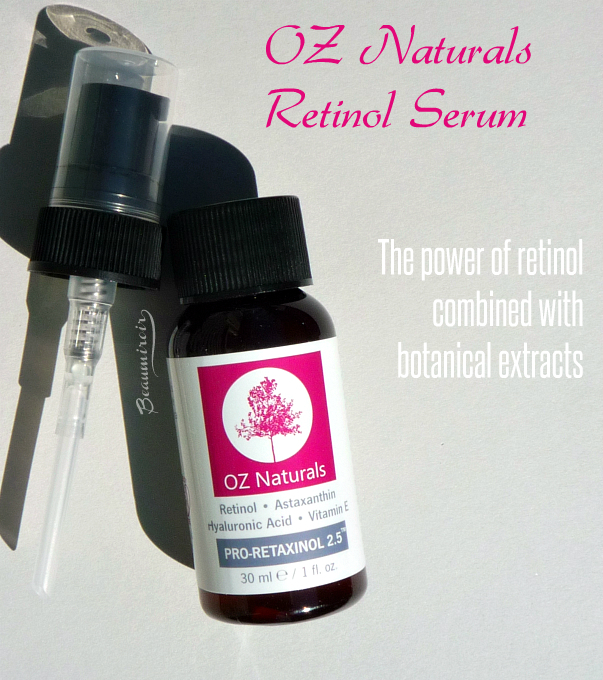 And of course, the retinol it contains is known to be one of the most powerful anti-aging ingredients available today. 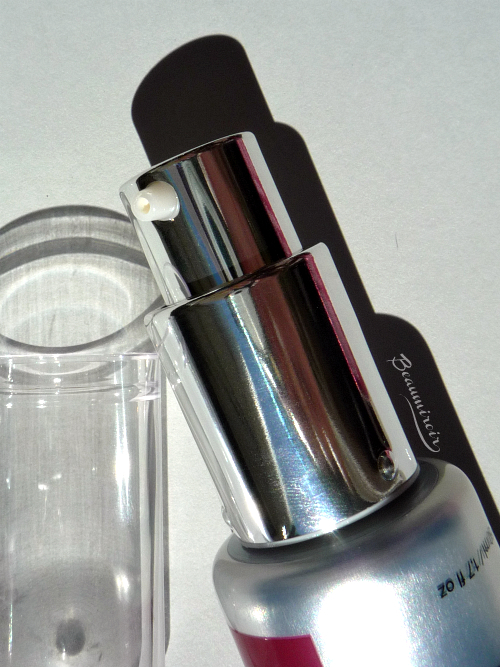 The Advanced Retinol Pore Refiner comes in a soft tube equipped with a pump: it's convenient and sanitary, and (I know I keep saying the same thing every time I review skincare!) this form of packaging is best to protect fragile anti-aging ingredients from being degraded by air and light. A clear plastic cap keeps the pump securely closed. I know that StriVectin defines this product as a "lightweight" moisturizer, but I would describe it as a semi-thick cream. It's not a runny or watery fluid, it has slightly heavier consistency, however it doesn't feel greasy at all. For me the best way to apply it is to use a small amount and spread it well, rather than trying to massage it into the skin. It does leave a breathable film on top of the skin, I guess that's how it manages to make pores less visible. 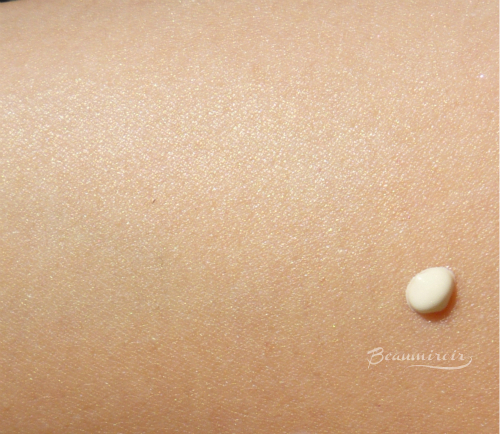 To get the best of the pore blurring effect, StriVectin advises to use it as the last step of your skincare routine, and even on top of your daily suncreen. So this is not a serum as I originally thought, this is more of a cosmetic "top coat" to make pores look smaller, with all the added anti-aging benefits I've talked about. 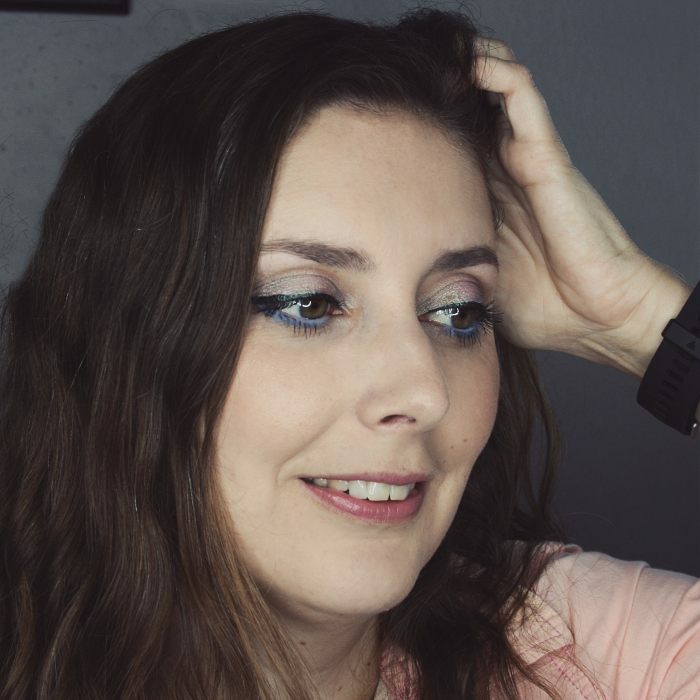 And yes, it does make my pores a little less visible - without erasing them completely - and my face is definitely less shiny throughout the day on the T-zone. According to the ingredients list it does contain some fragrance, near the very bottom of the long list, but to me it just smells like face cream, so it's very subtle. An interesting characteristic of this product is that it contains a very small amount of tiny shimmer particles. 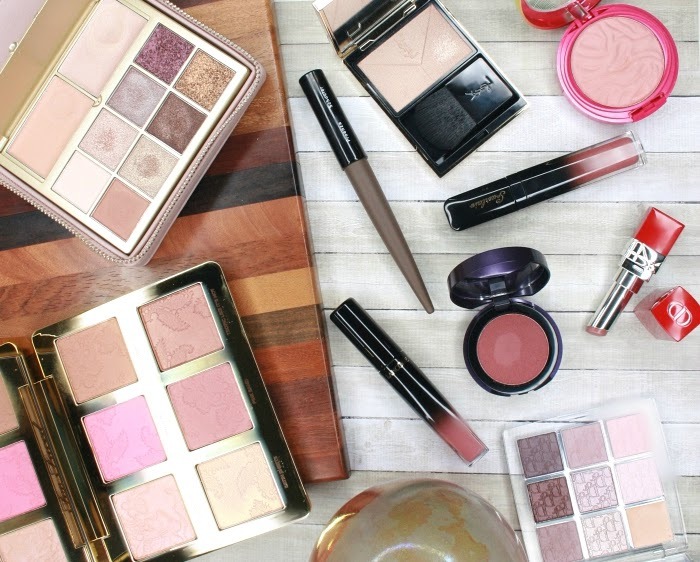 I was surprised when I noticed, because oil controlling and pore blurring products are usually very matte. It's definitely unusual, but it seems to work well: the micro-shimmer is fine enough to not be noticeable unless you look at your face with a magnifying mirror (they're really hard to spot on the picture above! ), and it leaves the skin looking natural rather than completely matte. A few words about the ingredients (sorry I couldn't get a picture, the list is printed on the reflective silver box! ): StriVectin markets itself as a science-based company, but if you like some beneficial plant extracts in your skincare, don't walk away. Besides the retinol, peptides and ingredients with undecipherable names, this product contains extracts of apple, rice bran, willow bark, lentil, soybean, ginger and even plankton! 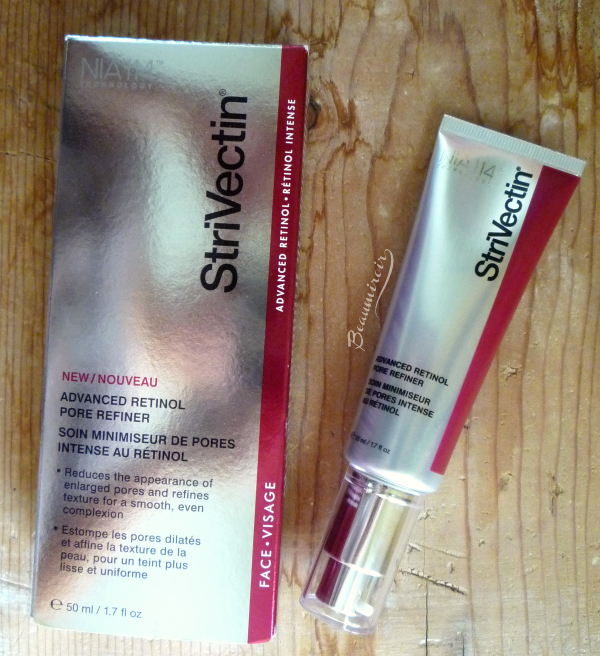 Overall: StriVectin Advanced Retinol Pore Refiner is a good choice if you need a product that makes your pores appear smaller and helps reduce their size over time, and could use some skin-smoothing and anti-aging benefits as well!